It is Cyril Ramaphosa’s job to ensure that South African government policy will work, regardless of party affiliation. The government has proved incompetent at managing public service organisations, so why should the NHI work? A new report reveals worrying facts. Ramaphosa says that the NHI will succeed and that it will deal a blow to the country’s 2-tier health system. From 2019 the government will roll out NHI so that by 2025 all South Africans will have cover. Meanwhile Trade Union Solidarity has found that health practitioners in South Africa are sceptical about the proposed NHI plan. Many were thinking about rather migrating to other countries. 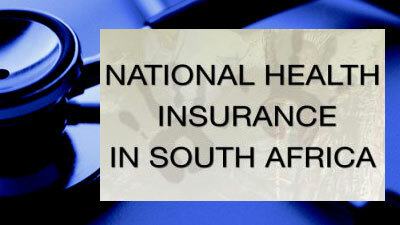 Private medical schemes will only provide benefits that the NHI won’t be providing. So it looks as though many medical aids will find themselves out of business. This will work well for Motsoaledi who wants the rich to subsidise the poor. Without the choice of medical aids, everyone will be dependent on the state – exactly what socialist rulers want. Another thing to worry about with the NHI is that almost no area of healthcare will be outside the control of the NHI Fund. Enormous, this new bureaucracy will be able to procure just about every medical service and product in the country. The bureaucracy will employ thousands of people, and this will mean additional costs over and above existing private and public healthcare spending. Other parties have said that health minister Motsoaledi has admitted that the cost of NHI is unknown. The Davis Tax Committee indicated that the NHI wouldn’t be possible to implement without significant economic growth. South Africa’s real gross domestic product fell by 2.2% in the first part of 2018. According to figures from the Quarterly Employment Statistics survey, the total number of jobs reported in the second quarter of 2018 has shown a huge decrease of 69 000. Also, the South African economy has gone into a recession during the second part of 2018, shrinking by 0,7%. South Africa hasn’t seen significant economic growth so how is the NHI to be funded? The NHI threatens to also burden taxpayers who will have to be supporting those who aren’t capable of making contributions. New report – History of Developing Countries Failing to Deliver to be Repeated? Another area of concern is that the NHI Bill promises quality health services free of charge and also within a reasonable period of time, but the World Bank has found the most universal healthcare programmes in developing countries weren’t able to deliver. South Africans will simply be dependent on yet another dysfunctional public system. Also, Institutionalised corruption is already big in South Africa and particularly so in public healthcare, and with the NHI proposing to make the state the sole financier of health services, the potential for corruption is a frightening aspect. Like it or not, the NHI is surging ahead, regardless of concerns surrounding it. There have been accusations directed at Health Minister Aaron Motsoaledi for trying to water down the ANC’s policy position regarding the NHI. Most people believe that Motsoaledi has done the country an injustice by bringing in the NHI and is totally the wrong person to lead the health sector.